Labcase is a manufacture of laboratory and technical furniture and equipment. We have complete lines of furniture for most every application thinkable. We have focused on cost effective solutions with budget driven systems as well as higher end products based on customer needs and requirements. We are a global supplier who will provide our systems to most countries. We also have focused on ergonomic and green applications and technologies. We can help you meet specific requirements concerning these issues from materials to energy usage. We are striving to meet current and future requirements for products headed for technical or laboratory use. We can also design and build customer specific systems. We will work with you to develop a system that works best for your users and your budget. Contact us today to find out how we can help you complete your facility or project. Our manufacturing capabilities utilize modern equipment from laser cutting to robot welding technologies. We have also taken steps to reduce wait time by stocking high use items. Some materials have been stockpiled for faster turn around times as well. For specific systems or items review the quick ship section on our site for details. If you would like to order or get a quote on specific items or products feel free to contact us today. 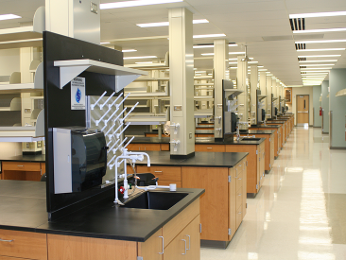 We are a mfg of laboratory and technical furniture systems in the Grand Rapids, Michigan area. Labcase was established to provide customers with custom built systems that would better suite there needs. From small to large projects as well as non traditional lab spaces. We can supply furniture for special applications including industrial production needs from production lines to electronic manufacturing and related fields. If you need a work space we can build it your way. We currently stock some products for quicker delivery times as well as keep stock to reduce the time it takes to get a customized system built. For more details on our current systems or you would like us to develop a new line just for you please contact us. We offer project design services as well.